Are you ready for a new sweater? How about giving colorwork a try? You’re in luck! Today is the preview episode (or what I like to call Episode Zero) for Season Four of The Sweater with Kathleen Dames. We will be knitting the Enwreathed Pullover over the course of 12 weeks. Well, you’ll be knitting Enwreathed, and I will be working on a new design, The Heart Wants Pullover, which has similar elements (so I can show you what we are talking about) but with some differences that should be illuminating. I’m so excited and hope you are too! 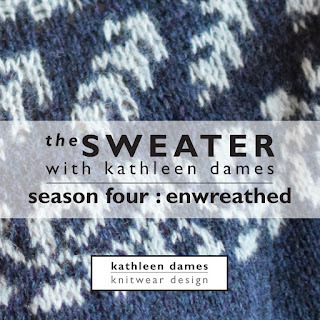 If you haven’t already, visit http://www.kathleendames.com/thesweater to sign up for my newsletter. 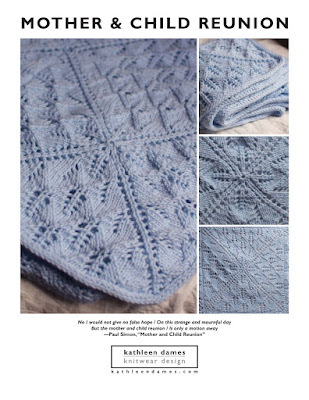 Be sure to create your project page on Ravelry and link it to the Enwreathed Pullover pattern. You can purchase the previous seasons’ patterns (Solstice Cardi, Purly Pullover, Basic Cable, and Premium Cable) from my Ravelry shop any time.